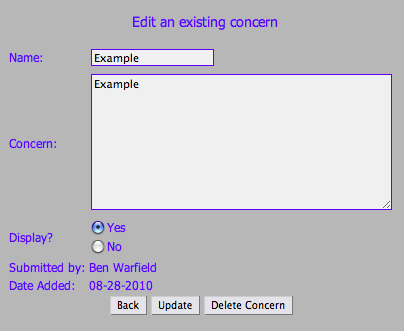 Prayer Concerns can be edited in the admin area. From here, you can add a new concern or edit an existing one. There is also the option to hide or show a concern from the main site.